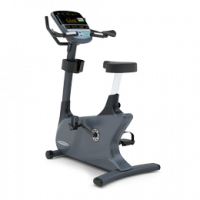 The New Elevation Series Upright Lifecycle Workout Bike with Discover™ SE Tablet Console is where your digital existence meets your exercise experience. The 3rd generation of contact display screen consoles redefines the workout knowledge with the most advanced technological innovation. Featuring an abundance of entertainment alternatives, enhanced interaction, internet connectivity and much this is health and fitness forward and the alternatives are yours. 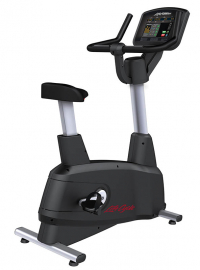 The next generation Elevation Series Upright Lifecycle Exercise Bike is the most advanced model of our original Lifecycle Exercise Bike. 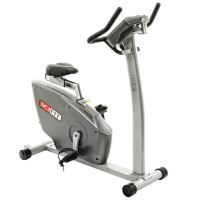 Designed to reduce pressure on the knees, the 95C simulates the feel of a road bike while providing exercisers with easy adjustments and resistance controls. With four base colors to choose from, Elevation Series has the style options to complement your facility. The New Elevation Sequence Upright Lifecycle Exercise Bike with Discover™ SI Tablet Console is the place your digital life meets your work out encounter. The third generation of contact display screen consoles redefines the exercise routine encounter with the most innovative technological innovation. The ISO7000R adds bi-directional exercise for even greater versatility. The C3i features a heavy duty frame and durable drive system, intelligent console and a relaxed natural riding position.